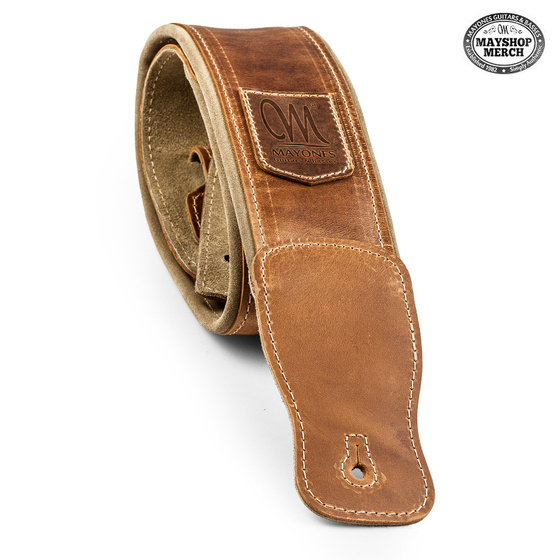 Elite series Mayones guitar strap. Made of high quality leather with additional lining. Company logo on a leather emblem. Light brown.